In light of the upcoming U.S. presidential election, we are publishing a series of articles about global elections and transitions taking place in 2012. Join us as we explore a diverse set of countries and the repercussions associated with leadership change by reading our “Week of Elections” series! Until September 10, 2012, Somalia hadn’t held a fair election for forty years. On that day, however, Hassan Sheikh Mohamud was elected president of Somalia, beating former President Sheikh Sharif Sheikh Ahmed. President Mohamud is a newcomer to politics who only set up his Peace and Development Party, his campaign platform, in 2011. His election has ushered a rise in optimism for change that will re-build a nation that has yet to recover from a turbulent and destructive history. Hassan Sheikh Mohamud, a professor and activist, was born in the central Hiran region and hails from the major Hawiya clan. He studied engineering at the Somali National University and became a lecturer in 1981. President Mohamud later obtained his MBA from Bhopal University in India, after which he returned to oversee a Ministry of Education teacher-training scheme that was funded by UNICEF. During the civil war that began in 1991, President Mohamud remained in Somalia and worked as a consultant with non-governmental groups on peace initiatives. He then helped set up the Somali Institute of Management and Administration Development in Mogadishu, and served as dean of the university for ten years, until 2009. In 2011, he founded the Peace and Development Party, through which he was elected in 2012. The aim of the party is to transcend entrenched clan politics, which were partly responsible for the violence and unrest of Somalia. President Mohamud has risen to power as an academic who has not dirtied his hands with politics and clan conflicts. According to BBC News, this quality distinguishes him from his competitors. Mohamud’s campaign for rebuilding Somalia is obvious given his extensive work in civil society and education. His position as founder, dean and lecturer at the Somali Institute of Management and Administration Development laid his foundation as an impressive orator and academic. Furthermore, his work as an education officer for UNICEF after the collapse of the central government in 1991 further proves his commitment to education as a tool for rebuilding Somalia. Somalia’s turbulent history set the stage for the country’s current instability. The colonization of Somalia by Italy inflicted severe and lasting damage to the economic, political and social conditions of Somalia. The Italians transformed a versatile and self-sufficient Somali economy into an economy whose growth was inhibited by its reliance on cash-crops, especially the banana plantations that exploited African natural resources and labor for Italian profit. Italian colonization was overwhelming destructive not only to the economy, but also to the political structure of Somalia. Somalia’s post-colonial society is plagued by intense class divisions and rivalries, which were created and cemented by Somalia’s colonizers. In 1969, Siyad Barre, then a general in the Somali army, led a military coup that established him as dictator of Somalia. His reign was rooted in corruption and collapsed in 1991, leading to a government vacuum and the beginning of the Somali Civil War, which lasted over a decade. Somalia fell into the hands of warlords and armed clan factions seeking control of the country, resulting in death, disease and starvation. In 2003, the nation attempted for the fourteenth time to form a central government, this time with the inauguration of an interim government, the Transitional Federal Government (TFG). Although the TFG has been accepted by Western powers, the corruption that plagues the TFG has failed to provide Somalia with any sense of stability. The TFG has been in almost constant conflict with different military factions seeking to gain control of Somalia, including the Islamic Courts and the Al-Shabaab, a terrorist organization. The Al-Shabaab was able to sieze much of south-central Somalia and captured the capital, Mogadishu, in 2007 after waging war against Ethiopian troops. By August 2011, though, the group was forced out of the capital. The civil war caused rampant destruction throughout the country, especially by destroying agricultural lands and farming equipment in the Northwest, resulting in thousands of deaths and casualties while setting the stage for man-made famines. The country’s destitute situation has forced it to lean heavily on foreign aid. Unfortunately, these foreign aid programs reverted to the colonial structures that initially tore Somalia apart, returning to the cash-crop system of production, this time instituted by the International Monetary Fund (IMF) rather than by Italian colonial rule. President Mohamud has inherited a country beleaguered by a plethora of problems, and the responsibility of rebuilding this nation rests in the new president’s hands. He must reconstruct the social infrastructure and security sector, resettle numerous refugees, release the country from its reliance on foreign aid, and liberate the country from the grasp of militant groups like the Al-Shabaab. Upon his inauguration he said, “The day of transformation begins today. Nobody would be allowed to divide us again.” Furthermore, he added, “We fought for independence; we must now fight for peace and democratization.” President Mohamud’s platform of change carries the hopes of a nation that desperately needs a strong leader to rebuild a country that exemplifies colonization’s destructive and exploitative legacy. Haile, Mahdi. “President Hassan Shikh Mohamud Pledged a “new Era” for Somalia.” OpEdNews. President Hassan Shikh Mohamud Pledged a “new Era” for Somalia, 21 Sept. 2012. Web. 28 Oct. 2012. .
Harper, Mary. “Will President Mohamud Be Able to Tame Somalia?” BBC News. BBC, 11 Sept. 2012. Web. 28 Oct. 2012. .
“Hassan Sheikh Mohamud: Somalia’s New President Profiled.” BBC News. BBC, 11 Sept. 2012. Web. 28 Oct. 2012. .
Hussain, Jahanzeb. “Reference.” Collateral Damage. N.p., 24 May 2012. Web. 28 Oct. 2012. .
Pham, Peter. “State Collapse, Insurgency, and Famine in the Horn of Africa: Legitimacy and the Ongoing Somali Crisis.” Routledge: Taylor & Francis Group, n.d. Web. 28 Oct. 2012. Smith, David. “Somalia Chooses New Leader in Presidential Elections.” The Guardian. Guardian News and Media, 10 Sept. 2012. Web. 28 Oct. 2012. .
“Somali Election: Hassan Sheikh Elected as President.” BBC News. BBC, 11 Sept. 2012. Web. 28 Oct. 2012. .
“Somali Election of Hassan Sheikh a ‘great Step'” BBC News. BBC, 09 Nov. 2012. Web. 28 Oct. 2012. .
“Somalia Profile.” BBC News. BBC, 24 Oct. 2012. Web. 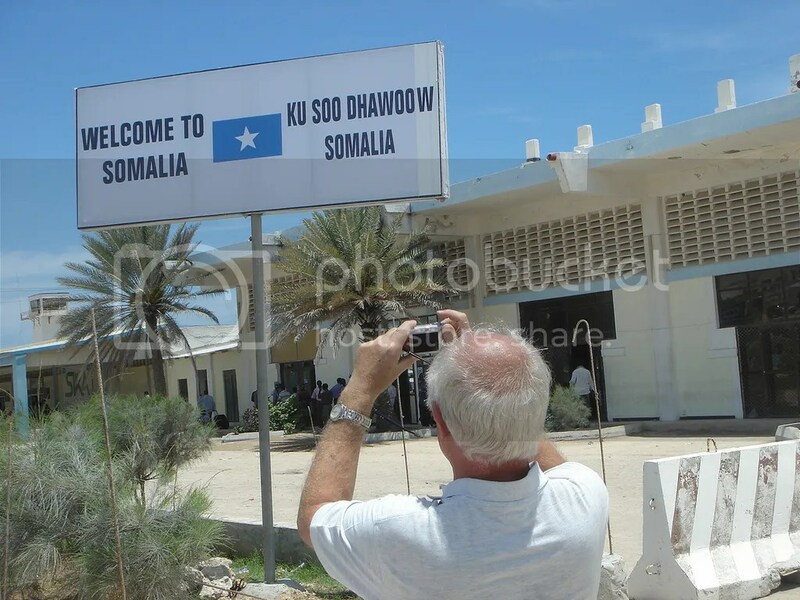 28 Oct. 2012. .
“Will Stability Finally Return to Somalia? – Inside Story – Al Jazeera English.” Will Stability Finally Return to Somalia? – Inside Story – Al Jazeera English. AlJazeera, 28 May 2012. Web. 28 Oct. 2012. .